Riverside Studios began its life in 1933, when the former industrial warehouse became a production studio for the Triumph Film Company. The BBC acquired the studios in 1954, and used the space to film shows such as Hancock’s Half Hour, Play School, and early episode of Doctor Who. When the BBC left in 1975, the building was taken over by a charitable trust, who employed architect Michael Reardon (who would later design The Swan Theatre in Stratford Upon-Avon) to converted the main sounds stages into multi-purpose spaces. With the appointment of its first Artistic Director (Peter Gill), Riverside Studios became a leading arts venue. Financial crises lead the studios to be used in broadcasting again in the 90s, with shows like T4 and TFI Friday. 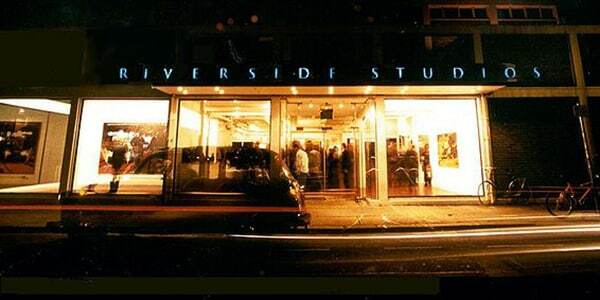 To this day, Riverside Studios are used for a mixture of live performances and external TV recordings, as well as cinema screenings, and exhibitions. The space is currently undergoing further redevelopment.